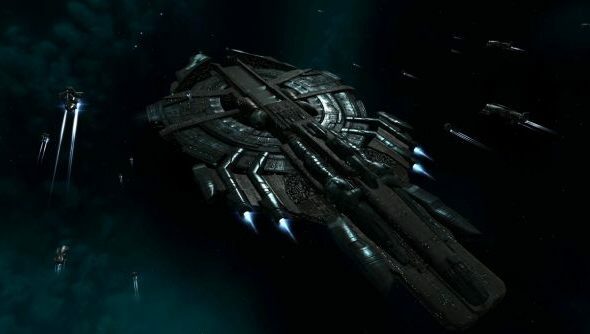 Big changes are coming to EVE Online in terms of long-distance travel. Moving between two distant points, particularly with jump drives and jump gates will take significantly longer. Why? Well CCP think the practical dimensions of New Eden have “shrunk considerably”, all to the “detriment of the game”. Pilots will now accumulate “jump fatigue” every time they make a jump of any kind. This value persists over time and between play sessions. This will limit your ability to make rapid successive jumps in a short amount of time, especially over long distances. Also with this update, capital ships will gain the ability to use stargates, but they’ll still be unable to visit high-sec. Nullsec is stagnant and needs a change. This is the first of many steps in our plan. Big fights are cool, but they’re crowding out more accessible and more frequent smaller ones. These changes have positive implications for people not involved in sovereignty warfare, for example making use of capitals in lowsec less risky. We expect the impact of these changes to be emergent, and as a consequence are unpredictable and will take a while to develop on TQ. This plays into our longer-term plans, as you’ll see in a second! The new jump fatigue will keep capital ships from quickly travelling across the galaxy via chaining jump drives. It’ll accumulate every time you use either a jump drive, bridge or portal, and the value is determined by how far travelled. Note – this doesn’t affect normal stargate travel, so don’t panic! Capital ships will now be able to utilise stargate travel in low-sec and null-sec to try and ease in this change. You won’t accumulate jump fatigue if you use this method of travel. However, it should be known that it’ll be significantly slower and less safe if enemies are around. Check out the full CCP blogpost here for more information.